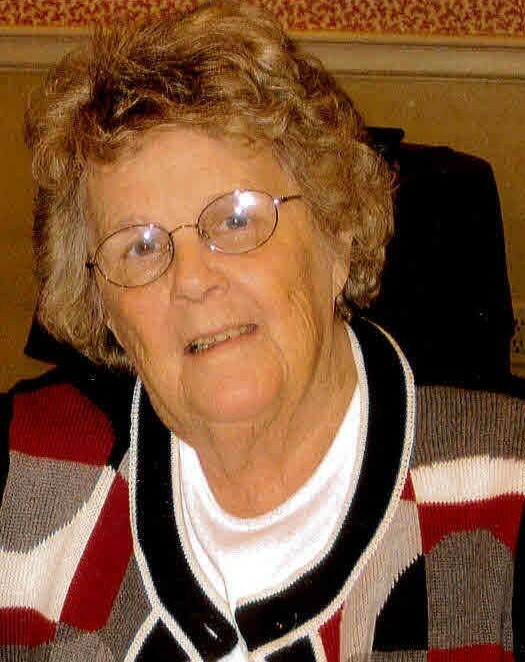 Obituary for Dorothy L. (Hoffa) Kirkhoff | Milkins Giles Funeral Home Inc.
Dorothy L. (Hoffa) Kirkhoff, 87, of Bernville, currently residing in West View Terrace in Womelsdorf, passed away Sunday, December 2nd of natural causes in the Reading Hospital. Dorothy was married to the late Robert J. Kirkhoff who passed away June 26, 2003. Born at home in Womelsdorf, she was the daughter of the late Charles Franklin Hoffa and Laura Mae (Schaeffer) Hoffa. Dorothy graduated from Womelsdorf High School. Dorothy and her late husband Robert owned and operated the Kirkhoff Furniture, Floor Covering, and Card and Gift Shop in Bernville until they retired in 1997. In her earlier years Dorothy was employed by Gloray Knitting Mills in Robesonia for seventeen years. She was a member of St. Thomas Church in Bernville. She enjoyed playing cards with the Bernville Card Club Gang, solving jig saw puzzles, word search books, reading, and crocheting. For many years she enjoyed vacationing at Sea Isle City, NJ. She enjoyed making new friends while traveling with Robert during the time they owned the Kirkhoff Furniture and Floor Covering Store. She enjoyed the last eleven years she resided at West View Terrace. Dorothy was a loving mother and grandmother. She was very proud of her children and grandchildren. Surviving are three children, Kevin S. Kirkhoff of Meeteetse, Wyoming, Joel R. Kirkhoff of Telluride, Colorado, and Joanne B. Price, wife of Ronald Price of Robesonia. There are three grandchildren, Angela (Price) DuCarme, Aaron Price, and Dylan Price. Also, there are two great grandchildren, Bradley and Jessica DuCarme. She is predeceased by a grandson, Ryan Price and her siblings, Charles and Harold Hoffa, Mary (Hoffa) Gerhart, and Isabelle (Hoffa) Jenkins. A Memorial Service will be held on Friday, December 7th at Noon in the Kirkhoff Funeral Home, 206 Main St., Bernville with Reverend Dr. Daniel Lute officiating. Family and friends may call at the funeral home on Friday from 11 am until the time of the service. Interment will be private in St. Thomas Cemetery in Bernville.